While pullout drawers are nothing new to most homeowners, the demand for more space in the modern kitchen has led to the use of pullout storage in different ways. Slender vertical pullout shelves can be installed in spaces between the counter and the fridge to provide extra storage for smaller items. With the right finish, they can blend perfectly with the rest of the kitchen when fully closed. Just like with bath remodeling, maximizing a corner can go a long way in freeing up much needed kitchen space. Corner kitchen cabinets add an extra degree of organization to your kitchen storage while also maximizing the floor area that would have otherwise been underutilized. A great way to add storage space while also enhancing the versatility of your kitchen is to install free-standing drawers. Since these are not directly bolted to the wall, you can always move them with relative ease. Whether you need extra counter space near you or just a place to store a fresh batch of items, a freestanding cabinet is great for the job. There are some cases when no amount of remodeling can give you added space. If you’re in that situation, you should consider using part of an adjoining room to create a walk-in pantry. Like with exterior remodeling projects, converting the next room to a walk-in pantry is a major undertaking, but the results can be rewarding. Let us help you get the most out of your kitchen. 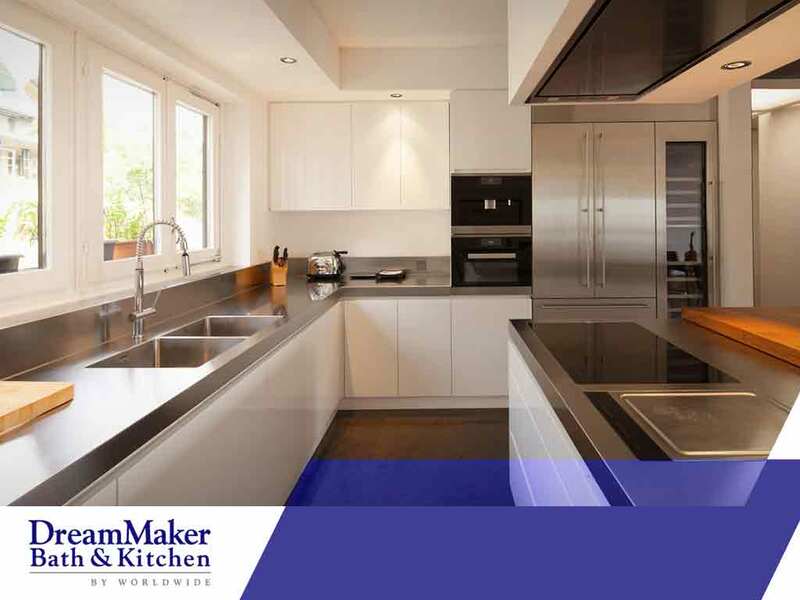 DreamMaker Bath and Kitchen of Greater Grand Rapids is a faith-based organization that seeks excellence through integrity and a client-centric customer service. You can call us at (616) 632-2284 or fill out our online form to request a free quote. We serve areas near Grand Rapids, MI.